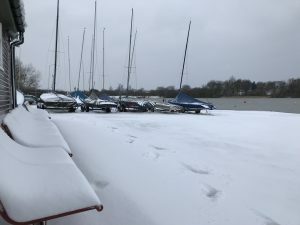 Just in case you were champing at the bit to get out on the water today and were planning to make the trip up to the club for the first race of the season – don’t! Pull them fluffy PJ’s back on and snuggle down under the covers again. The Race Officer has been up to the club this morning and has decided to cancel all club racing on safety grounds. 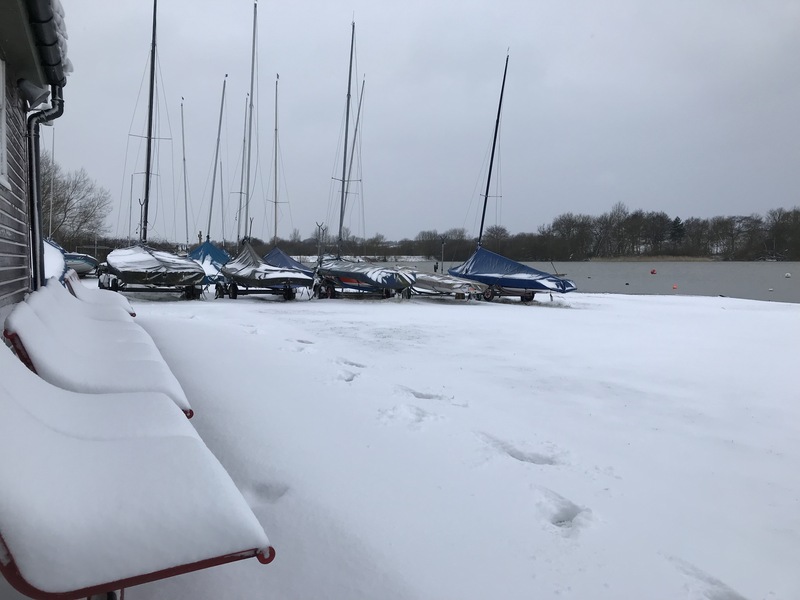 Whilst access to the club is possible with extreme care, the roads around the club are covered in snow and significant drifting is occurring on all approaches to Harthill Village.There is also a good number of snow drifts in and around the clubhouse. Better safe than sorry and we hope to see you all on the water next weekend.